AA Skincare offer a selection of their high quality products that really do improve your skin with there nurturing skin loving ingredients. 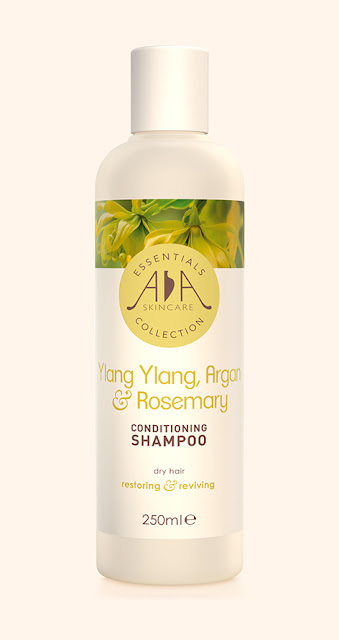 Now AA Skincare have just released their natural plant-inspired shampoo's, how exciting! The whole range caters for your own hair care needs and all you have to do, is pick the one that you know your hair will benefit from. I was lucky enough to be sent the Ylang Ylang, Argan & Rosemary to blog about. I always look for products that are specific and state conditioning as my hair leans slightly on the dry side. Styling and colouring and taking the weather into consideration, its always nice to put back nutrients into the hair what these factors can take out. This conditioning shampoo is described as "A naturally effective, nutrient-rich conditioning shampoo which can help repair split ends and encourage softness, shine and volume as well as repair split ends. Adds nutrients to the scalp for healthy hair and can help treat dandruff. Suitable for sensitive skins." Ylang Ylang Essential Oil - Helps to nourish and repair brittle hair whilst also promoting a healthy scalp. Argan Essential oil - Rich in antioxidants and vitamins A and E, this moisturising and conditioning oil helps to prevent dry hair and repair split ends. Cucumber Extract - Adds nutrients to the scalp whilst also being non-irritating and boasting of anti-inflammatory properties. Rosemary Extract - An anti-oxidant that helps boost volume and hair growth. Moroccan Lava Clay - A natural cleanser that adds volume, gloss and helps prevent split ends whilst also promoting thicker fuller hair. Tulsi Powder ( Basil Leaves) - Anti-fungal & Anti-bacterial and also has purifying properties. Treats dandruff and helps promote hair growth. 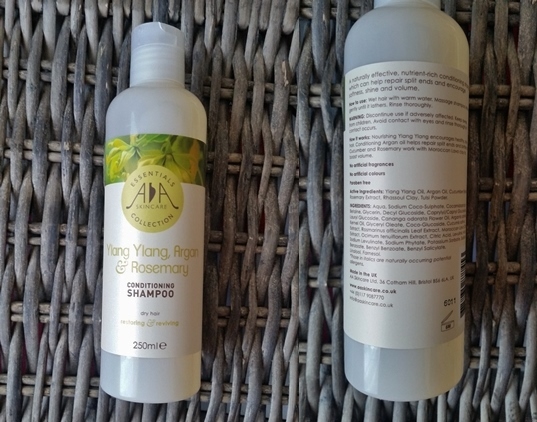 I was really excited to try this shampoo as i have used the AA Skincare products and know how well they work and smell great. The snap cap on this bottle makes it easy to use and to control, just how much you want to use and apply to your hair. The shampoo is clear in colour and a little will cover your whole head. The smell is really unique and when lathering this shampoo through your tresses the scent will lift your senses. I found that the shampoo rinses out really well and left my hair really moisturised and soft to the touch. No artificial fragrances, No artificial colours and is Paraben free! Check out the whole range and treat your hair to Natural Haircare.